Are you ready to renovate? Don’t even think about starting your remodeling project until you’ve spent some time with Renovation Bootcamp. 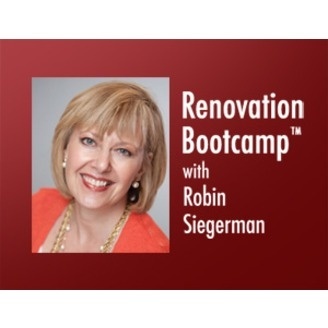 Robin Siegerman, aka The Renovation Drill Sargent will give you an insider’s look at planning, designing and executing your renovation project through interviews with celebrity designers, reliable contractors and the people in the trenches. You’ll learn where to save and where to splurge to get the biggest bang for your buck. But it’s not all nuts and bolts, renovation is less a science than an art. For helpful tips on the softer side you’ll hear from experts and psychologists about the importance of creating the right feeling for your space. Renovation Bootcamp is step one to winning the remodeling war! When someone says the words, “electric fireplace” do you conjure up an image of a tacky, hardware store box with tin foil and a red, rotating light bulb inside? Well, get that image out of your head! Crummy looking electric fireplaces are a thing of the past! With technology and style changes, electric fireplaces are beautiful as well as practical. They can be a source of heat in the room that costs just pennies a day to operate and in a condo where you can’t have a chimney or an open flame, an electric fireplace is a great option to add warmth and atmosphere to any room in your home. 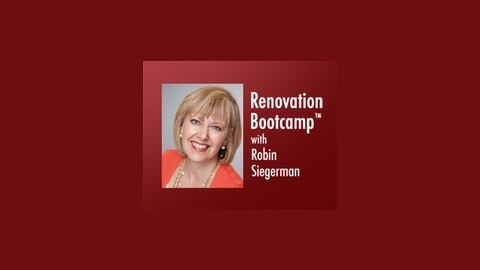 Tune in as host Robin Siegerman (http://www.RenovationBootcamp.com)talks to Jeanne Grier of Stylish Fireplaces (http://www.stylishfireplaces.ca), who will give us an idea of what options are available and some surprising price information. On Tip from the Trenches, you’ll learn all about Cambria Quartz material from Linda Leatherdale, VP of Business Development at Cambria Canada (http://www.CambriaCanada.com). Be prepared to be wowed by the number of patterns available and all the ways you can use this dazzling material. Not just for counter tops, you can use it just about anywhere for anything!